UFC 232 is now underway — but not in Las Vegas, as initially planned. Instead, the card goes down inside The Forum, in Inglewood, California, outside Los Angeles. That’s because the UFC moved the card, in its entirety, from one city to the other, after the Nevada State Athletic Commission refused to license former UFC light heavyweight champ Jon Jones for his main event title fight with Alexander Gustafsson. 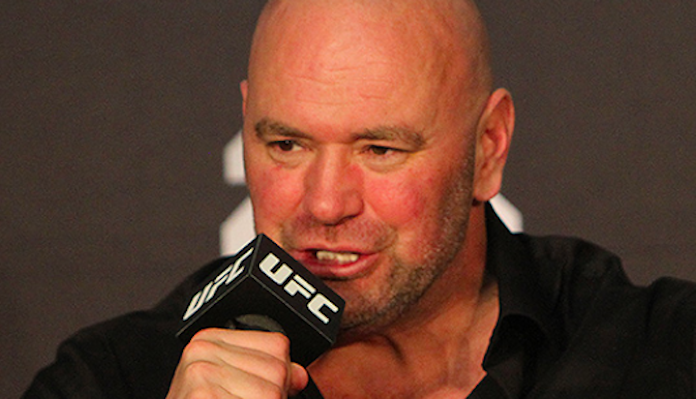 This unprecedented move, which occurred on just six days’ notice, caused massive headaches for fighters and fans alike — but UFC President Dana White says that “means nothing” to him. White added that, despite this last minute relocation, UFC 232 will go down in front of a solid-out crowd. Apparently, this fact has been enough to satisfy some of the fighters on the bill. What are your thoughts on these comments from UFC President Dana White?